Moving? This is the Best Time to Cancel Cable and Cut the Cord. Summer has arrived! For many Americans summer means more than just swimming pools and barbecues...it means the kids are out of school and it's time to pack boxes, load up the truck and move. 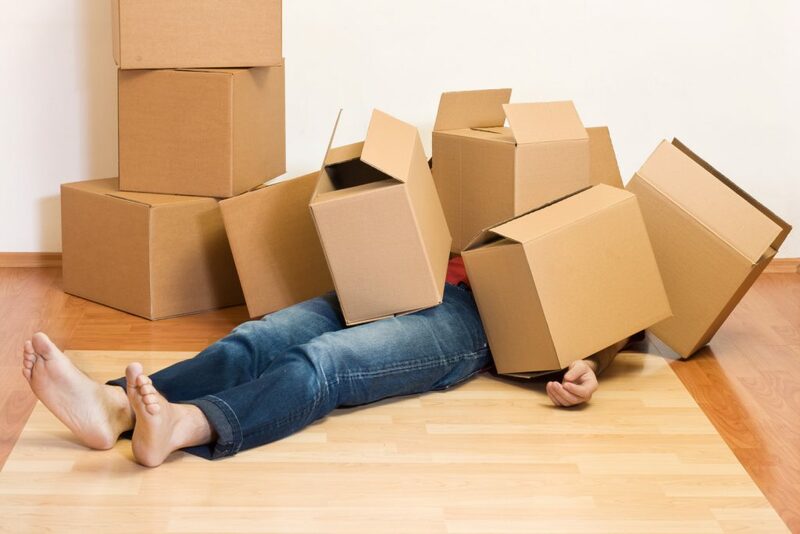 The vast majority of moves take place over the summer months. Right now the thought of packing, organizing and lifting may be getting you down, but here's something that you can actually look forward to: It's the perfect time to cut the cord! Did you know that it's much easier to cancel your pay-TV subscription if you're moving? You don't have to spend two hours on the phone with the rep going through all the reasons that you no longer want the service, you just say "I'm moving and there's already TV service at the new address." Boom. Done. Say it's your new roommate's service, your grandmother's service - it doesn't matter. If their service is available at the new address, simply say that you'll be happy to suggest their service when the contract for the current service at the new address expires. Also, you may have been putting off cord cutting because you were afraid that it was going to disrupt your household. Can your household be disrupted any more than during a move? Honestly, cord cutting is not disruptive if you do it right, and we can help with that. The most important thing is that this is your golden opportunity to give cord cutting a try and find out what all the fuss is about. The media, and probably a fair number of your well-meaning friends and family, are likely telling you that cord cutting means streaming all of your TV content. This is an urban myth. Forget what you've heard and follow these steps. 1. Get a TV antenna. Channel Master STEALTHtenna, outdoor directional, reception up to 50 miles, $29. A TV antenna is the most important cord cutting tool you will own. In fact, there is no entertainment item on the market today that provides more value than a television antenna. With a TV antenna you will have live TV from all of the major broadcast networks in stunning HD at no cost. This includes your local news, sports, daytime, prime-time and late-night programming. 63 of the top 65 TV shows for the 20106/2017 season are available for free with a TV antenna. Think that's enough TV content for you? You will probably have some Cable show favorites, too, and we'll get to that. In the meantime, check out our Antenna Selection Guide to enter your zip code for the new location and find out what type of antenna you need. NOTE: There is no such thing as an "HD" or "Digital" TV antenna. The broadcast signals are digital, not the antennas themselves. Don't be fooled by misleading and deceptive marketing claims. You can put up a TV antenna from 1953 and it's going to pick up the same digital broadcast signals as any spaceship-looking, HD-claiming antenna you can buy today. Channel Master is the nation's first and longest-running TV antenna manufacturer, established in 1949, so we can rightly claim to be experts on this subject. For now you will connect the TV antenna to your main living room TV. Once you get comfortable with the antenna and cord cutting, you can choose to extend the signal from the TV antenna to additional TVs in the house. 2. Get a simple media player. 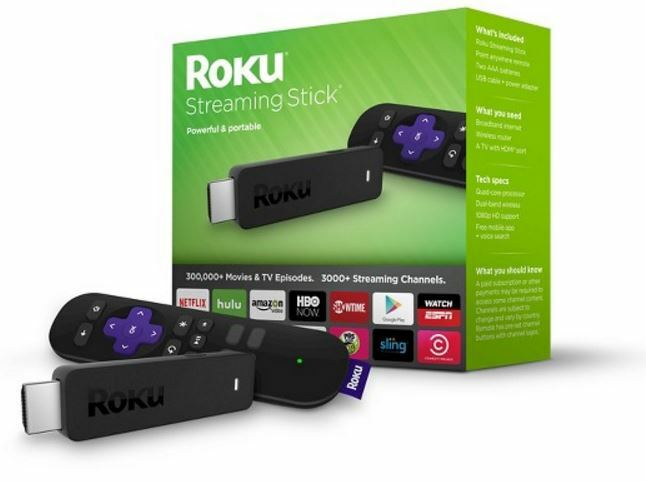 Roku Streaming Stick, available at electronics retailers, $25-$49. A media player, also known as a streaming device, is a product that provides lots of apps for you to stream TV shows, movies and other popular On-Demand content. This is how you will get Netflix, as well as rent or buy movies and cable TV shows from services like Amazon and Vudu. We recommend Roku because it's very inexpensive and it's the most complete streaming device out there. The Amazon Fire TV stick (or box) does not provide access to competitors of its Amazon Video service such as Vudu. Apple TV does not provide access to competitors of its iTunes service such as Amazon Video and Vudu. Chromecast does not provide access to competitors of its YouTube service such as Amazon and Vudu. As you can see, it's a bit of a mess. Only Roku, who is not a media company, provides access to every streaming service under the sun so that you are free to choose the services that you want rather than being forced into something by the manufacturer. If you are using a device such as a game console, DVD player or smart TV to access your streaming services, that's fine, you can keep doing that. We just recommend Roku because it has a lot more options and flexibility for the long term. You will definitely want to connect the media player to your main living room TV, and since they are inexpensive we highly recommend getting one for any additional TVs in the home. 3. (optional) Get a DVR for your TV antenna. Are you currently using a DVR? If so, you won't want to give that up. 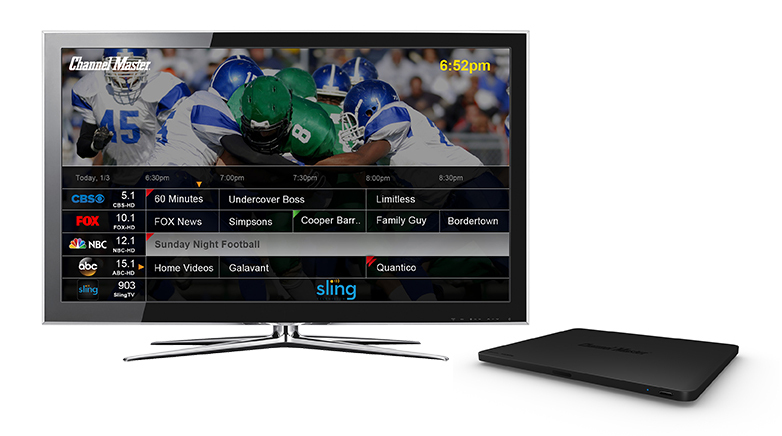 If you're the kind of person who doesn't want to miss an episode of "Big Brother" or who likes to be able to pause live TV or replay a touchdown, a DVR will complete your cord cutting experience. In addition a DVR will provide a channel guide for your TV antenna channels, something that your TV set won't do on its own. That's it! You've got the TV antenna to provide a ton of free live TV and all of the top TV shows from the major broadcast networks including ABC, CBS, FOX, NBC, PBS, The CW and more. You've got a media player so you can buy current seasons of your favorite Cable TV shows (Walking Dead, Mr. Robot, Keeping Up With The Kardashians, The Real Housewives, etc.) and rent or buy movies. And if you like, you've got a DVR to pause and record live TV, set timers for your favorite shows and provide a nice 14-day channel guide. You're all set. It feels like Cable, but it's not.